Mod Podging with napkins has become really popular! 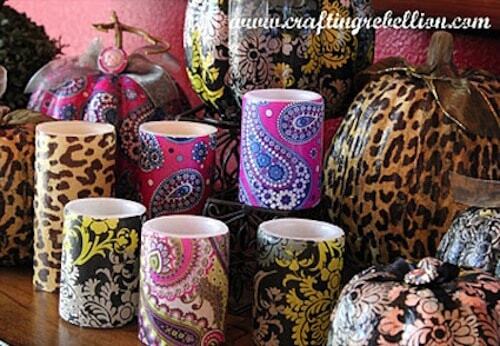 Get 10 decoupage ideas using napkins – you'll love this collection of great ideas. Have you ever tried decoupaging with napkins? It's time for you to try. 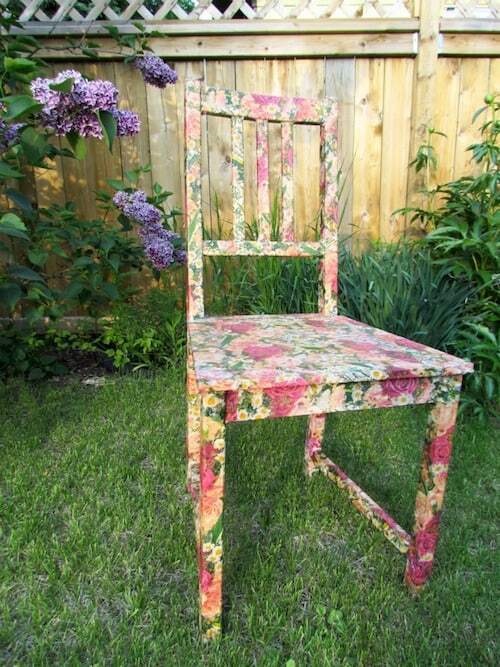 These 10 decoupage ideas using napkins are the perfect place to start! 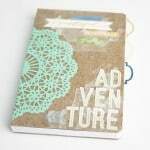 Using Mod Podge with napkins can be a little tricky, but with a little practice and some patience you can have it mastered in no time. I get asked my tips on decoupage with napkins, and I definitely recommend trying a test first using a cheap tile you can get from a home improvement store (they cost about $.50). Peel the front layer of the napkin from the back layer, then Mod Podge down. Lightly brush or tap the napkin down so you don't tear it up. It's going to take some practice, hence the tile test! Check out these 10 napkin decoupage projects below and let me know if you've worked with napkins before in your Mod Podge crafts – I'd love to hear what you've made! Napkins can be decoupaged onto furniture, like drawer fronts and table tops. 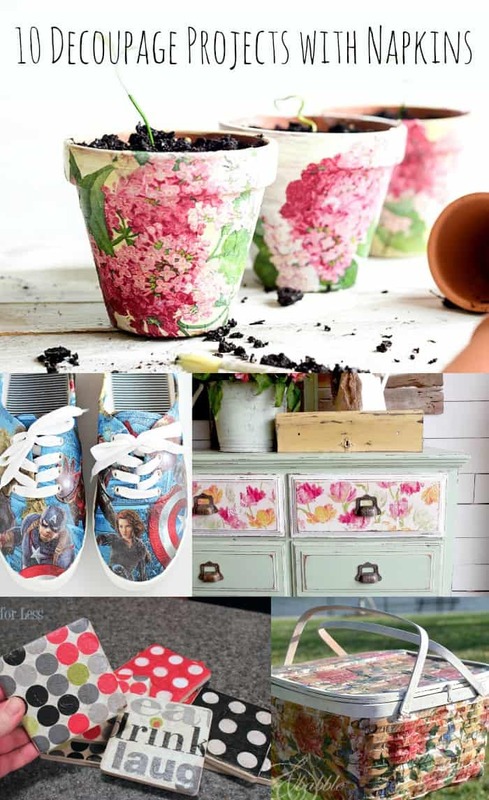 Sausha has this dresser but also some additional amazing decoupage ideas here. 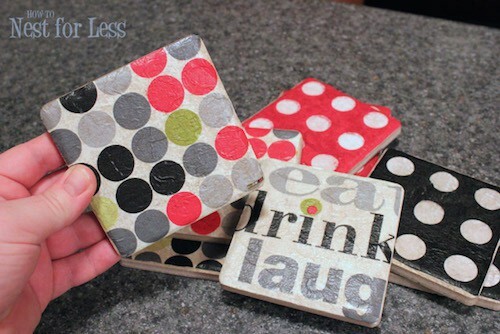 These handmade coasters were made with party napkins. They are so colorful and fun – and 8 coasters cost less than $4! Find the tutorial here. 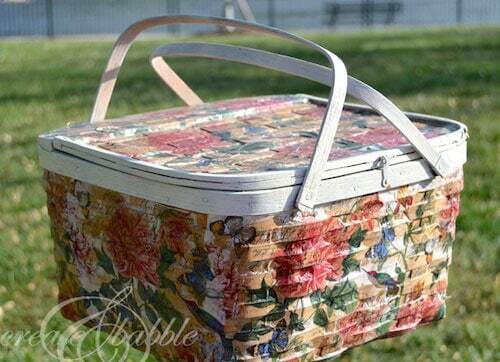 Love the texture of this picnic basket makeover! The napkins give it such a beautiful look. 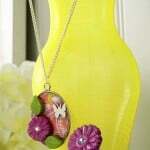 Learn how to make this project here. I can't wait for spring! 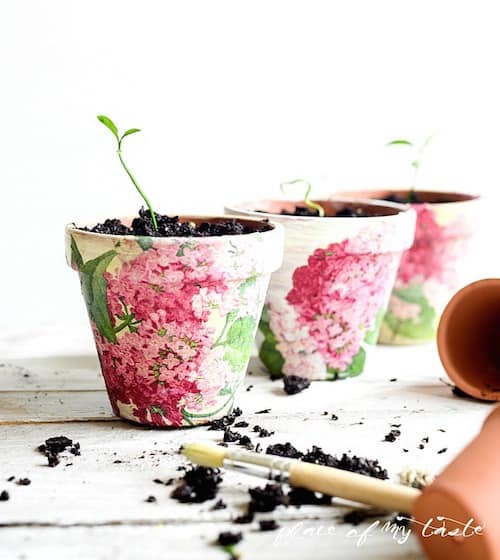 Celebrate warmer weather with these terra cotta pots. Learn how to make them here. Would you ever guess that you could do an entire chair with napkins? You can! Learn how here. 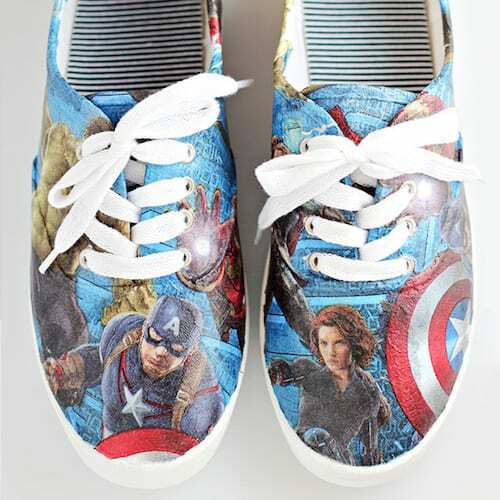 Wear these shoes to your next ComicCon! Perfect for the comic book or superhero lover in your life. Get the how-to here. 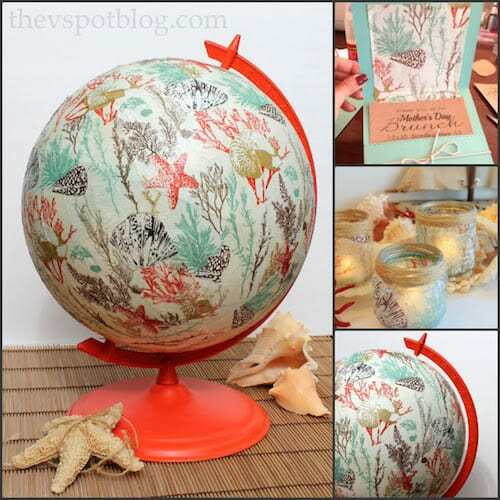 Turn an old globe into a pretty nautical themed display piece using coastal napkins. The full tutorial can be found here. If you love Vera Bradley but don't love the price, you can get the look for less with decoupage and napkins. Battery operated candles are used in the tutorial here. 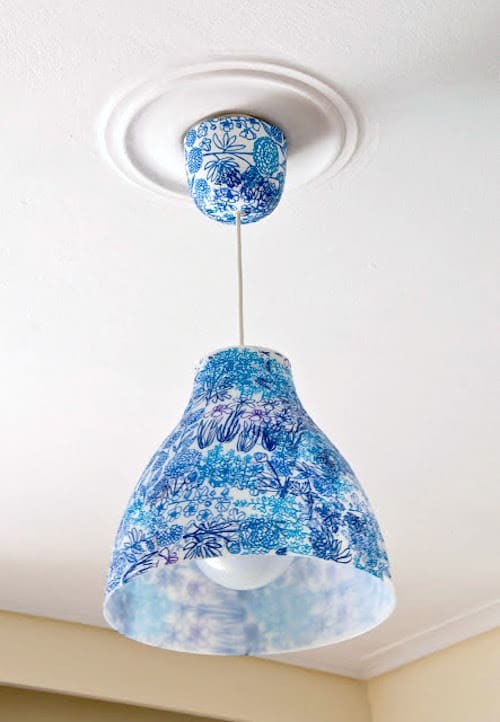 Make over a simple pendant lamp with some colorful napkins. Love how many different ways you could do this! Find out how to here. 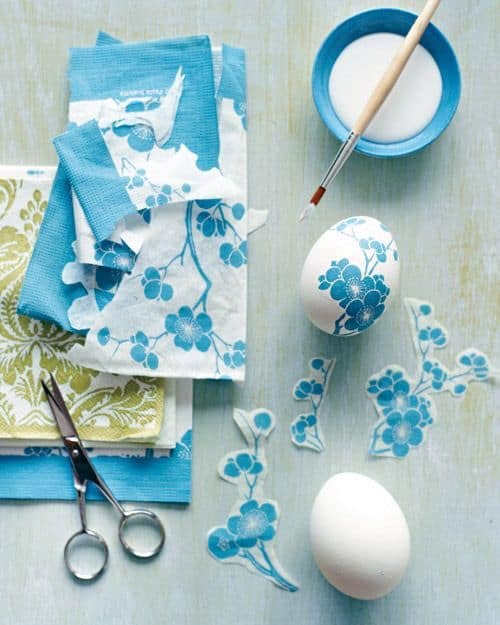 Give your Easter eggs some flair like they've never had before – use paper cutouts and add them to the surface of the egg as shown above. Find the project at Martha Stewart here. Let me know your favorite ideas for decoupage with napkins in the comments! A lot of napkins have rows of “bumps” or dimples on the edges. Does this make a difference to your project, or do the bumps get smoothed out when you decoupage them? Carla the bumps will typically get smoothed out – however, you might want to trim the edges given that a lot of time the pattern fades or there are small holes! I have used paper napkins on the fronts of my greeting cards. Love this list of ideas, which has made me think of applying napkins to the canvas of a pendant lamp or carry sack. 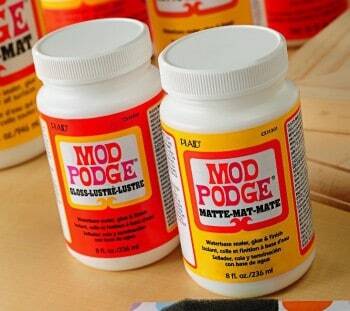 Which version of Mod Podge would you recommend for this purpose? Hi, I have made a vessel using napkins as a design element instead of painting the whole thing. Here is a link to see that vessel. Wow, nice!! So that is completely cardboard?? Thx Amy for sharing! Just in time for me too. which I hope to use to make something awesome. Love your informative newsletters! ?? 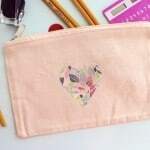 Hi Amy – I have being decorating with Napkins and Mod Podge for 3 years, I have done shopping bags, canvas shoes, plant pots, watering cans, candles, trinket boxes, drawers, canvas mixed media art, tables, tea pots, coffee pots, mugs, china plates, photo frames etc etc. (too many to remember). I have sold these at local Markets and craft shops. It’s a project I love doing. it’s simply a group of Mod Podgers sharing their projects – over 12,000 members. They are very supportive. Would love to see your work! Paper Napkin Motif.It would be really heplful. Hi Anita! I’m not sure where you can buy napkins in India. I would ask locally! I’ve also made many of the tile coasters. A box of 100 blank tiles is around $15. I glued coordinating colored felt squares to the bottoms which I think look very nice. It covers up the backs of the tiles. I also like the finished look of carrying the tissue around the sides of the tile as well. Here are a couple of examples. Each pair ended up taking me about 5 hrs since I wanted each one in a specific spot, then had to go back through and fill in the holes with the blue.